Most professionals are overwhelmed and stressed out at work. 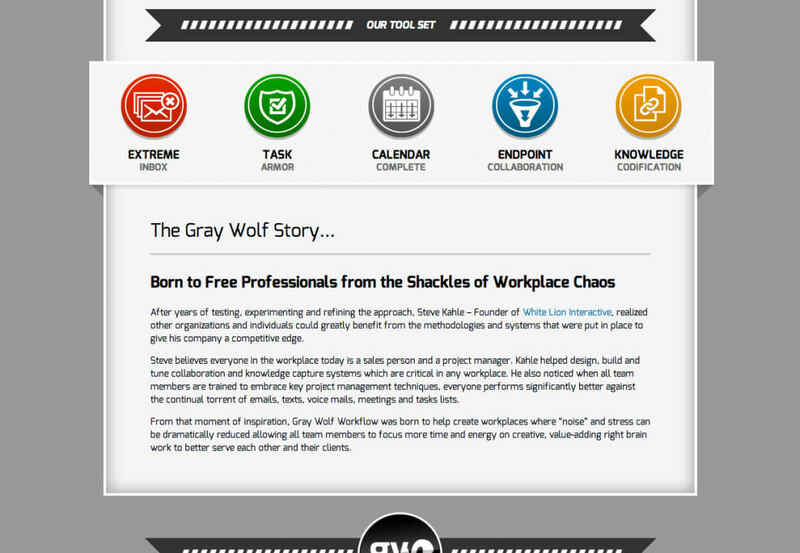 Using proven research and methodologies from the latest in science, behavioral psychology, and real world application, Gray Wolf Workflow is a consultancy offering services and products to help high-achieving teams and individuals to reduce distractions and focus on what matters in the workplace. The end result is a clear path towards more fulfilling and financially rewarding careers for clients. In the initial engagement, the upstart consultancy had a clear vision for the service offering and the naming of the organization. At the same time, there was no branding in place. 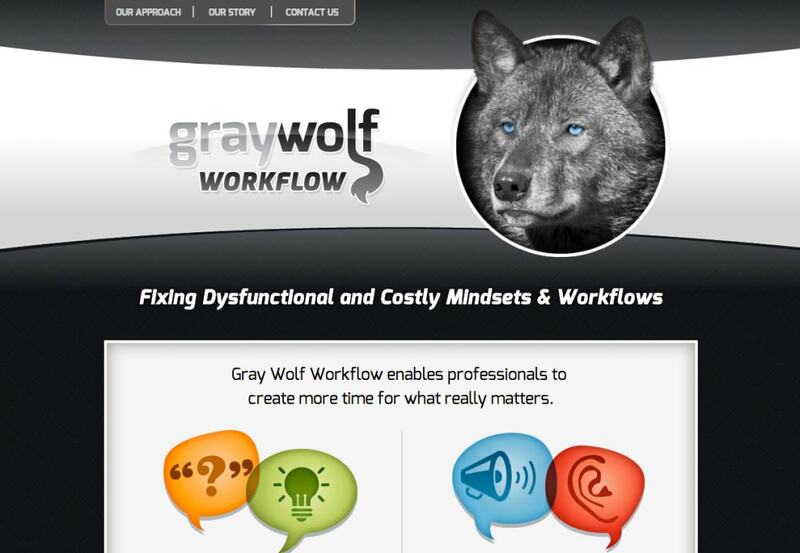 Gray Wolf Workflow needed an intuitive and engaging web presence that quickly communicated their value proposition. 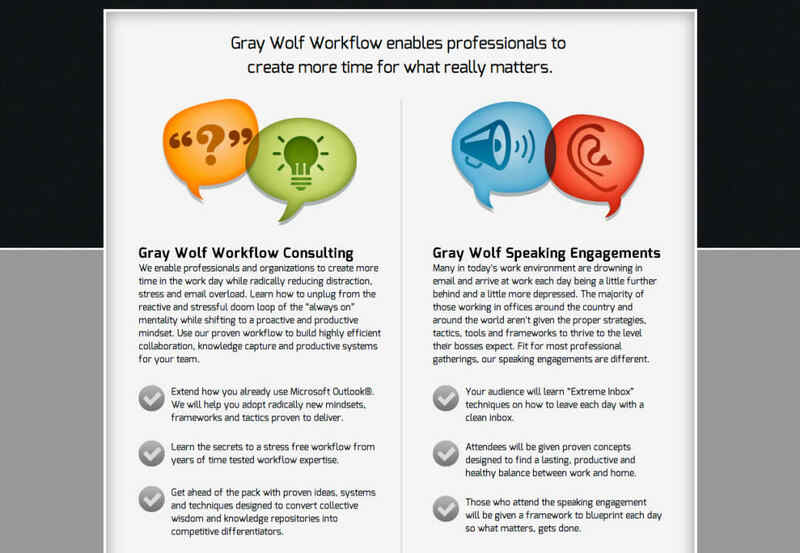 The White Lion team produced a very memorable logo in addition to building an engaging web site for Gray Wolf Workflow. Both continue to capture feedback on the uniqueness and style of the presentation. 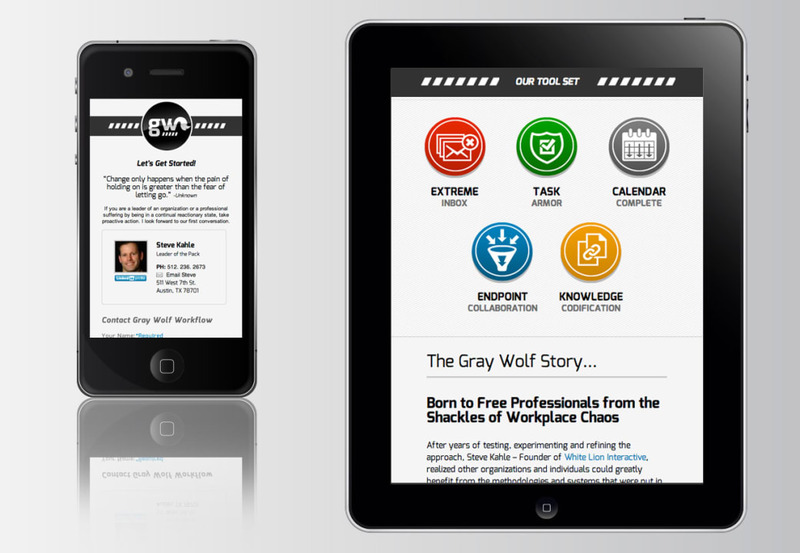 Content messaging edited by the White Lion team was also an integral part of the site development particularly around the launch of The Proactive Lane Boot Camp. 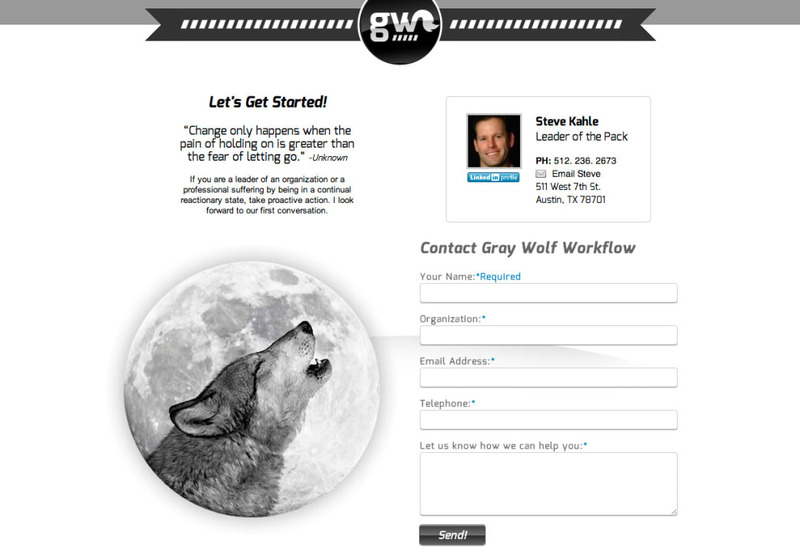 From client feedback, the mark – especially the presentation of the wolf with blue eyes gets mentioned frequently and is a reminder how the site is able to connect with visitors and clients and stand-out from the rest. The content and visual identity of the site has attracted and help solidify engagements with top Austin-based companies and individuals.